Farmer’s Market Opens April 7, 2016! 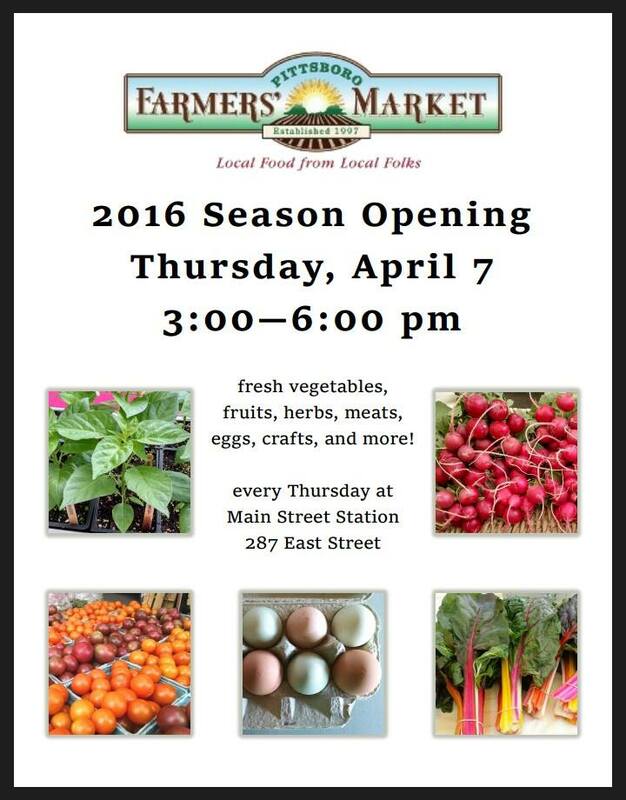 Home → News → Farmer’s Market Opens April 7, 2016! The Pittsboro Farmer’s Market opens this Thursday, April 7, 2016!